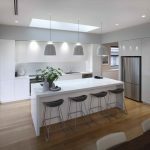 A modern, freeform, open-plan and rather plain kitchen has been transformed into a provincial masterpiece, thanks to designer Andrew Dee and the Wonderful Kitchens team. 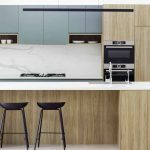 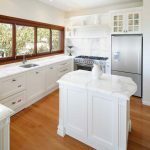 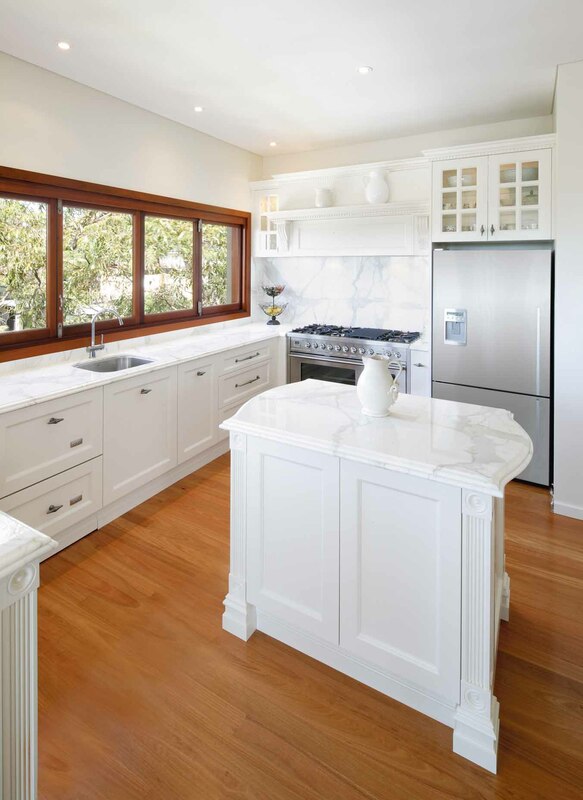 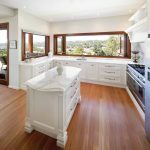 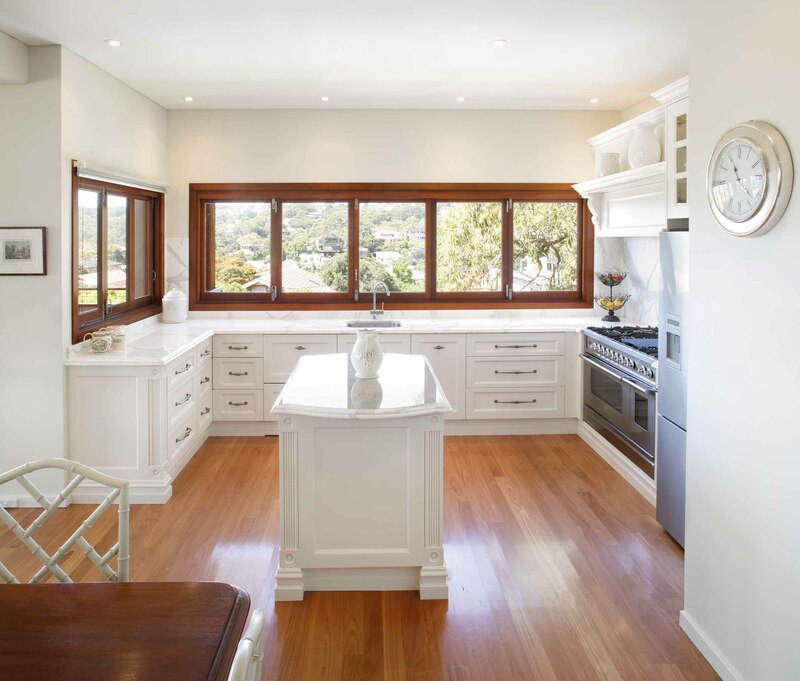 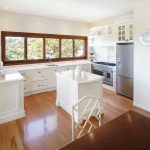 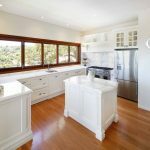 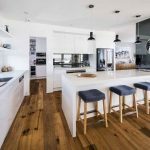 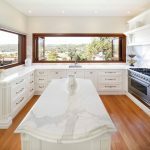 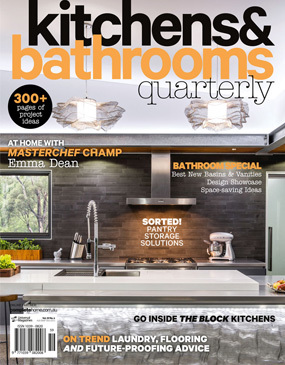 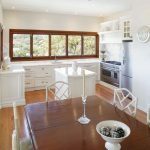 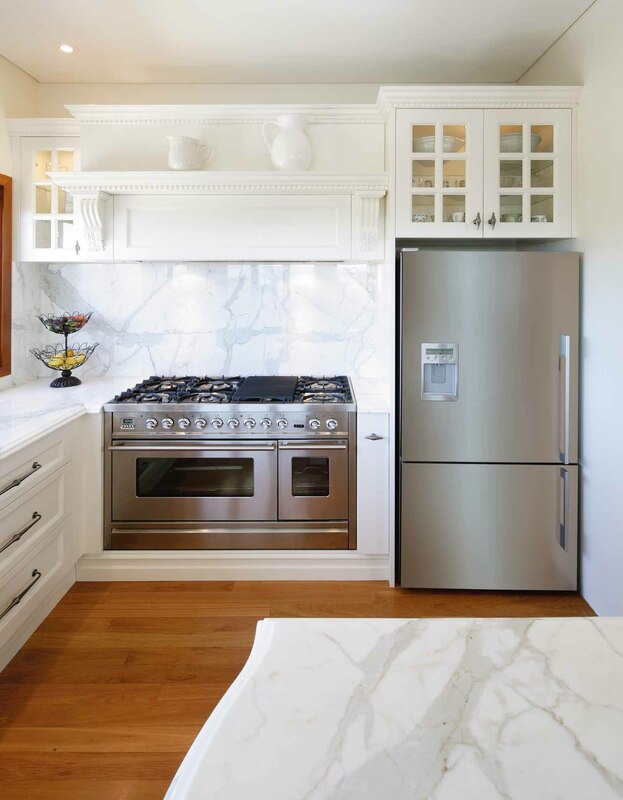 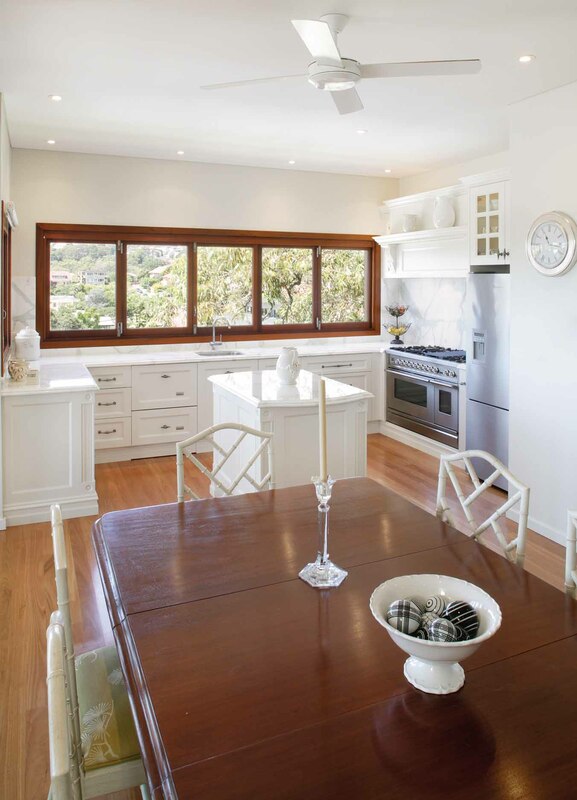 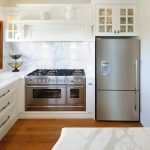 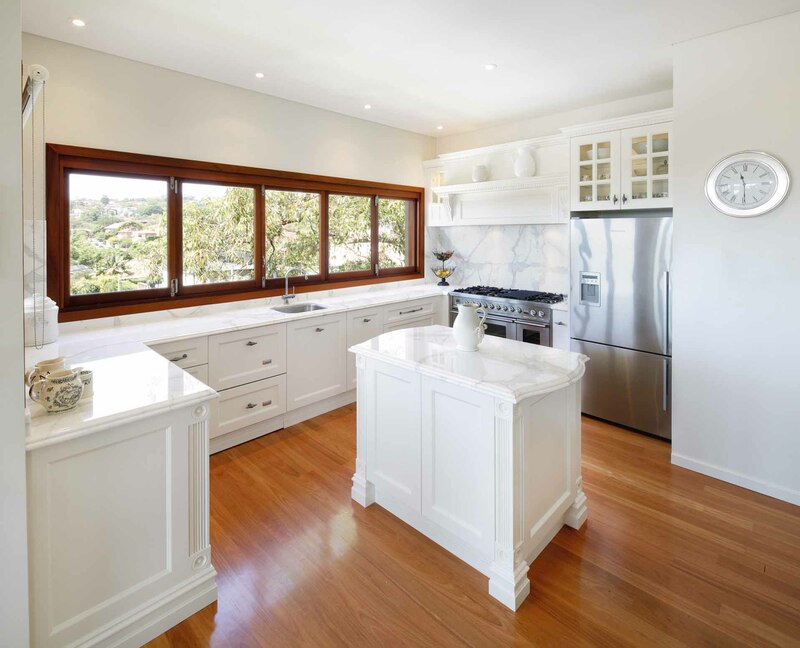 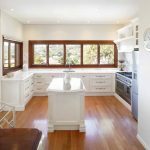 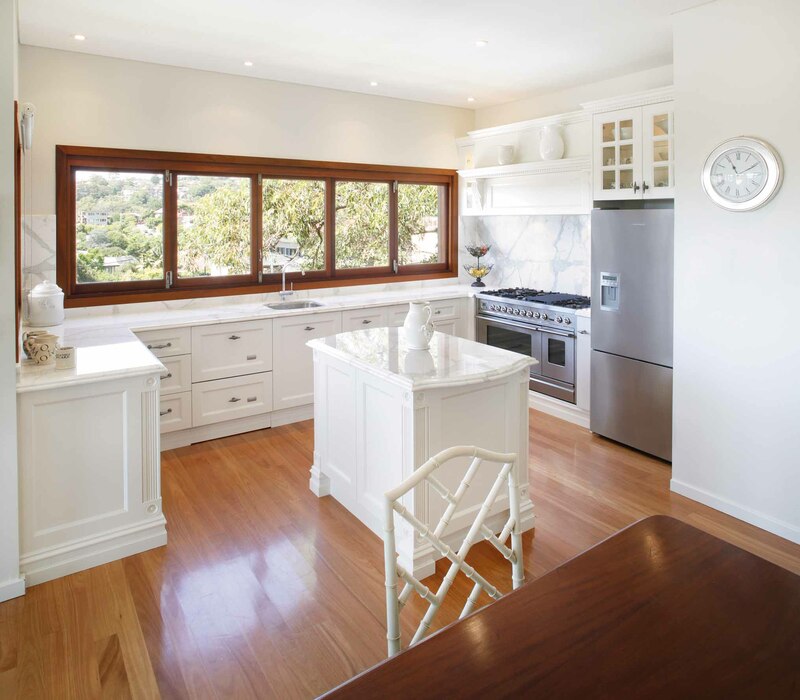 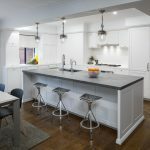 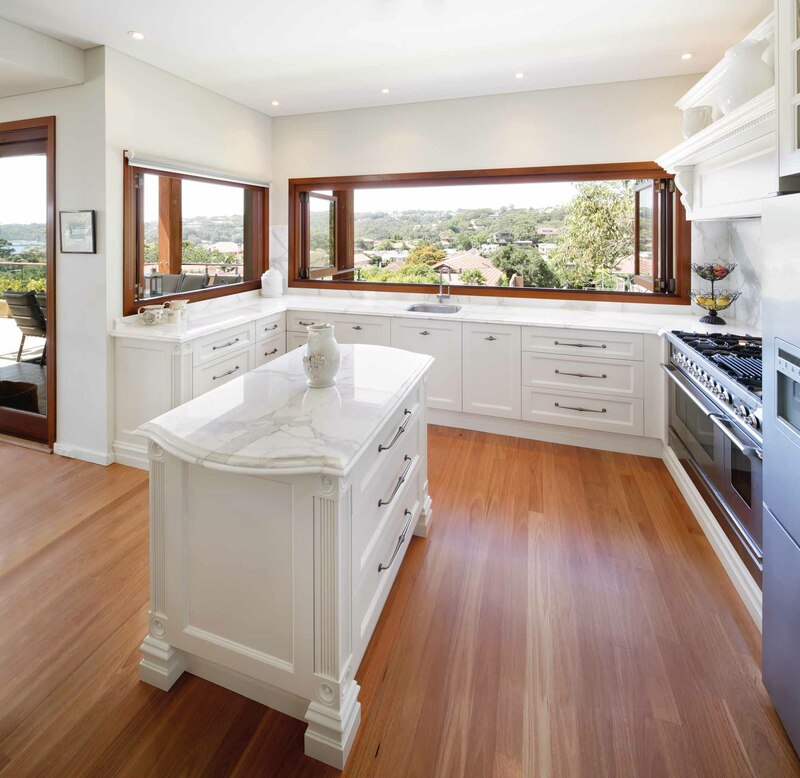 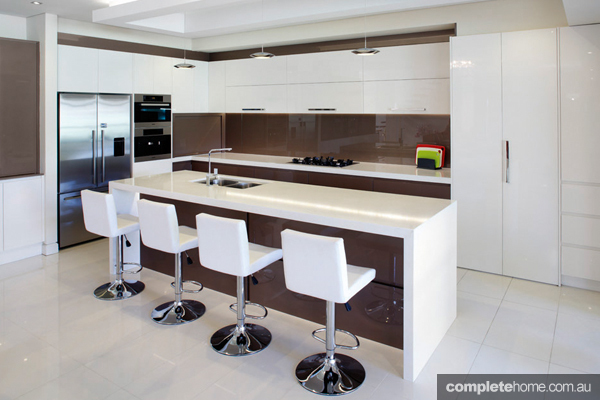 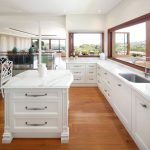 The owners recently downsized their home and wanted a period-style kitchen with some modern elements that would exude more of a luxurious feel. 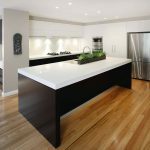 Their new kitchen wasn’t to look too heavy, and an island also had to fit into the space for both storage and meal preparation. 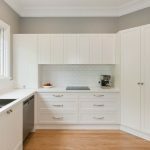 This refreshing design, brought to fruition by Andrew, now offers provincial styling and is pared back to suit the area. 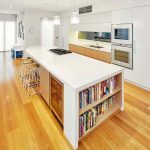 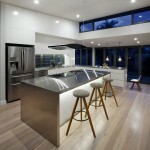 It integrates an island bench with distinctive detailing, as per the owner’s request, and makes good use of the small space. 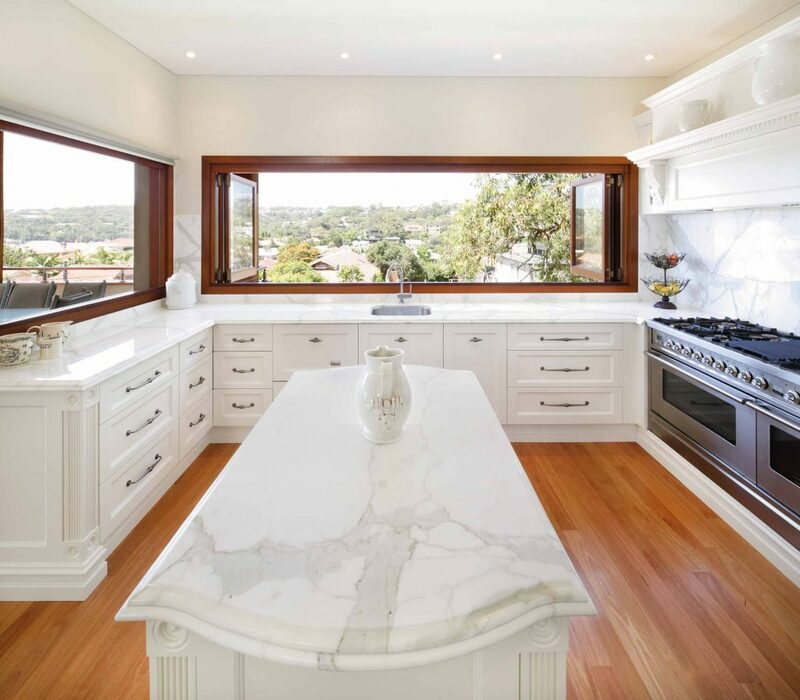 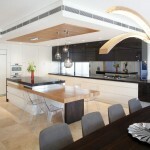 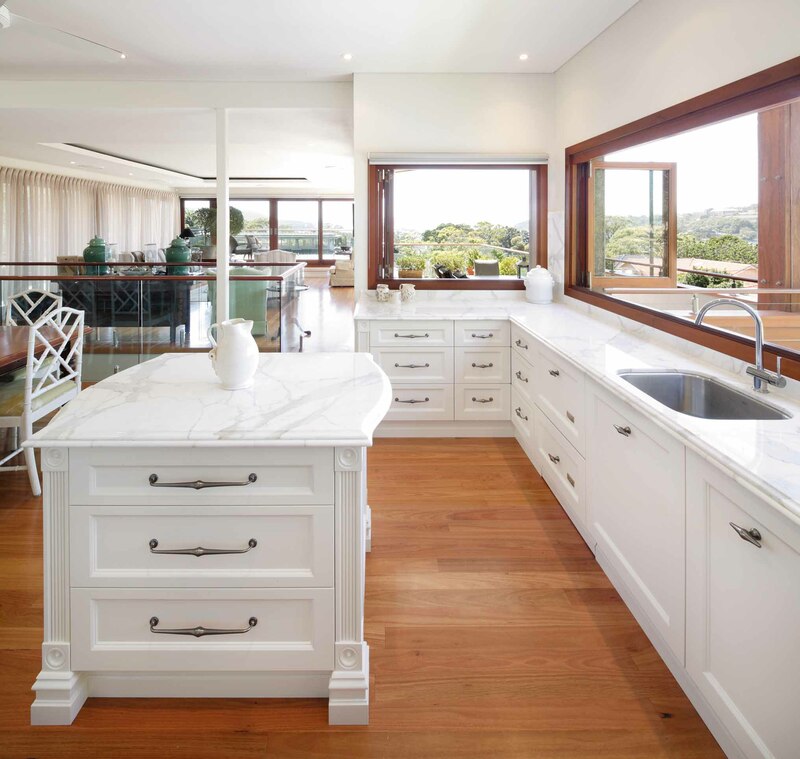 Selecting luxurious Calacatta Oro marble in a light shade for the benchtop and splashback adds elegance to the kitchen and suits the provincial theme remarkably well, while fluted columns with rosettes, Federation-style kickboards, display cabinet doors with glazing bars and bevelled-edge glass inserts enhance the traditional feel. 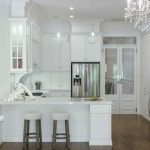 The mantel conceals the rangehood and the mantel shelf and corbels are lovely finishing touches in keeping with the provincial design. 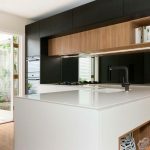 The kitchen also incorporates a host of essential modern touches such as a stainless-steel dishwasher, refrigerator and upright cooker.